The U.S. economy is slowly climbing out of this nasty recession, and for the moment, new car sales are surging once again. But the long-term future doesn't look very bright for a lot of reasons, including ones that car companies alone won't be able to fix. The Atlantic recently published a rather fascinating General Motors presentation that analyzes the current state of the economy and U.S. new car sales, as well as what it means for long-term growth. In a nutshell, it says that new cars are getting more and more expensive and possibly leaving younger people and lower-income people in the dust. Their presentation also addresses the now-infamous Millennial problem — that younger people aren't buying cars on the same level as their parents — but wisely, it determines that unemployment and student loan debt are the biggest factors behind that, not because they only care about cell phones and Facebook, a narrative that so many media outlets are all to eager to run with. That makes sense since GM's chief economist is one of the few who seems to understand the reality of that situation. But this GM analysis acknowledges the troubled nature of the new car market, it ends on an optimistic note that I'm not sure they should be taking. Let's take a look. First, recovery from this recession has been much slower than other ones. That makes sense — after all, our current downturn has been described as the worst since the Great Depression. Recovery has been especially slow for unemployment. If people don't have good paying jobs, or even jobs, they're probably not going to be buying new cars. 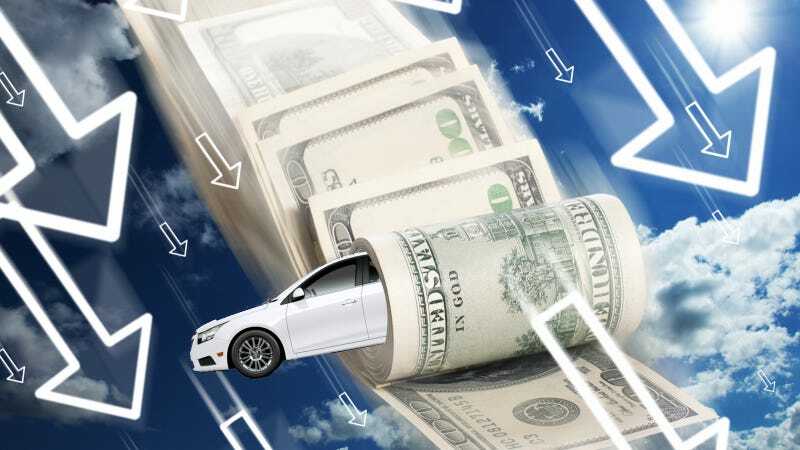 At the same time, new car costs (when adjusted for inflation) are higher than ever and continue to rise, as do the fixed and variable costs associated with car ownership. It's more expensive than it has ever been to buy a car and keep one. Gas prices keep rising as well. That's not encouraging, is it? As a result, The Atlantic notes, is that the U.S. car market keeps getting older and richer. That's what we've seen before as well. Remember the retired guy who buys Mustangs two at a time? The median household income for people who buy new cars is higher than the national average, the gap between the two has been on the rise since at least the 1990s. There's something else here that's very important to note that GM leaves out. They forget to mention that income, when adjusted for inflation, has remained nearly flat since the 1970s except among the wealthiest of the wealthy. And yet the cost of new cars — and everything else — is climbing. Clearly, something has to give here. Then we get into the part about young people and cars. Their story says, as we have heard before, that the rate of driver's license ownership among people aged 16-24 is plummeting. Young people also have some of the highest auto insurance premiums. And then there's the problem of student loan debt. College is more expensive to attend than ever before, and student loan debt rates have climbed with those costs. When you're paying $400 a month in loan payments you won't be able to pay off until you're in your 40s, how can you even think about a new car payment? It's not cell phones or Twitter. It's money, plain and simple. Combine student loan debt with youth unemployment levels standing at 16 percent in August, income stagnation, and a general desire by many younger people to live in large cities where they don't necessarily want or need cars, and you have a kind of recipe for disaster for new car sales. GM walks away from all this with some optimism I'm not sure is warranted. They say that since the average age of cars on the road continues to rise — those cars, they presume, will have to be replaced eventually — there is "pent-up demand" for new cars just lurking around the corner. Yeah, maybe. But who the hell is supposed to be buying them? We've just outlined all the reasons why the younger generation, the generation supposedly poised to replace their parents and grandparents as the ones buying Mustangs two at a time, are essentially screwed. With so much debt, unemployment, flat income and ever-increasing car costs to overcome, how are they ever supposed to get to that point? As The Atlantic notes in their subhed, the auto industry is "in danger of leaving behind the poor and the young." This observation seems pretty astute to me. Either way, while the new car market is booming at the moment, it's hard to look at all these trends and be optimistic about the future. In the meantime, it's more proof than ever that empty wallets — not iPhones — are keeping younger people out of new cars. Just how long that will last is the question.